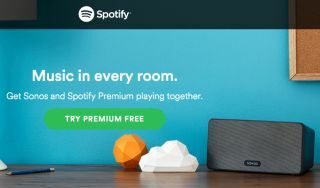 Sonos Spotify update adds features, improves performance | What Hi-Fi? Sonos is aiming to make Spotify on Sonos more like Spotify on mobile, with more features coming to the Sonos controller app. Now live in beta on the Sonos Android app, the update brings features you'll find on Spotify mobile into the Sonos system. Spotify users will now be able to start radio stations based on any artist or track, choose music based on genres and moods, and get time-of-day recommendations from Spotify - no more thrash metal before bed. This is part of a change in how Sonos integrates streaming services, which was announced as part of the Sonos 5.4 update last month. Essentially, this makes it easier to bring more features from native apps into the Sonos experience. As a not insignificant extra, the Sonos app update also promises to make Spotify on Sonos more stable, following some peak-time performance issues. The Sonos Controller app update is live now in beta for Android devices, with a further roll-out promised "in the coming weeks".